Back in December, several rumours have come to light which claims that Intel has come to an agreement with AMD to use Radeon iGPUs to power future Intel CPUs. These rumours come from HardOCP's Kyle Bennet, who in May reported that the AMD's Radeon Technology Group (RTG) was in talks with Intel about supplying graphics IP for use future CPUs. At the time this rumour as discounted by most people, though it seems that Intel's graphics division has been significantly downsized since they announced an 11% reduction in their workforce back in April. Rumour has it that Intel may release their first Intel GPU with an integrated AMD GPU in late 2017, with the CPU using a separate Intel CPU die and an AMD GPU die. This effort will same Intel a lot of money which is spent in GPU R&D and will give AMD some additional GPU market share in consumer system, all-in-all making this a clever move for both companies. Back in December, Kyle Bennett reappeared on the HardOCP Forums with a new message, stating that both companies have come to an agreement and that AMD GPU tech will be used in future Intel integrated graphics solutions. To anyone in the hardware world, this report comes as a massive shock, given how AMD and Intel have been huge competitors in the GPU market for decades. This deal is almost like cats and dogs suddenly becoming friends or TTL developing a love for untidy "ketchup and mustard" coloured PSU cables. 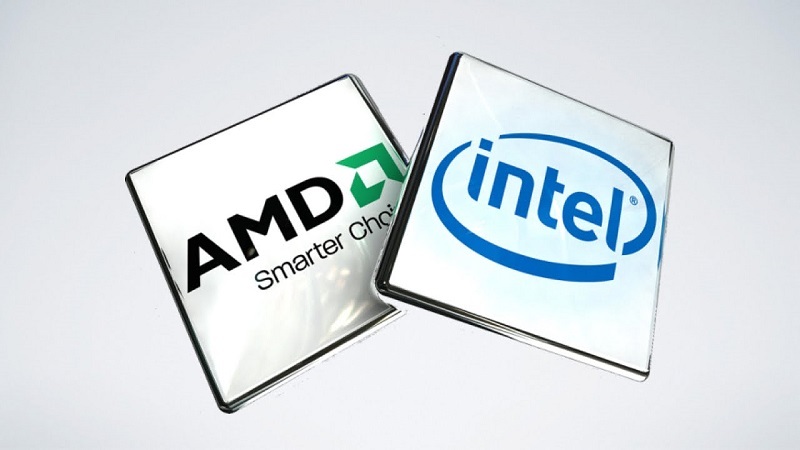 While an agreement between such fierce competitors may seem like an impossibility, both companies do have a lot to offer each other, with Intel looking to cheaply develop integrated graphics solution and AMD's desire to return to profitability and generate additional revenue from licencing deals. Right now Intel does not offer powerful graphics hardware on their CPUs, with Intel's flagship Skylake i7 6700K failing to beat AMD's ageing Kaveri A10-7890K APU under GPU intensive loads. With recent rumours suggesting that AMD's first Zen-based APUs will deliver GPU performance that is similar to an RX 460, it looks like Intel may have a difficult time competing, especially given the recent layoffs in their GPU division. AMD has also recently made a deal with Chinese companies, giving then access to some of their CPU IP to allow them to manufacture their own AMD-based CPUs. This generated $293 million for the company in cash, as well as future income from royalties moving forward. A similar deal may be in the works with Intel and the Radeon Technologies Group in order to generate revenue for AMD and provide Intel with new/powerful GPU technology. While this deal does seem very unlikely it cannot be claimed that both companies cannot benefit here, with AMD gaining an opportunity to place their GPU technology on a wider range of products and giving Intel the ability to create integrated graphics solutions cheaply and without expensive research and development. Intel will likely not release these new CPU/APUs with any form of AMD branding, but it will give AMD a significant boost in terms of market share, effectively filling up the entire low-end GPU market. Personally, I don't think we will be seeing any Intel/AMD APU combinations in 2017, since Intel has only recently launched their Kaby Lake CPU lineup and will AMD want to release upcoming their Raven Ridge series APUs with minimal competition. Right now there is no real evidence to suggest that these rumours are correct, though in a strange way this kind of collaboration does make a lot of sense for both companies. You can join the discussion on Intel using AMD GPU hardware in future CPUs on the OC3D Forums. This would be massive for AMD. Making money out of every single CPU sold? hell yeah !